CeBIT — is one of the leading technological exhibitions in Europe, devoted to telecommunications, IT-technologies and services. CeBIT is there one can see the newest products of leading companies, achievements of private developers and become a part of the scientific and technological breakthroughs. The company has addressed the demanding audience – managers of large corporations, investors, government agencies and the academic community. 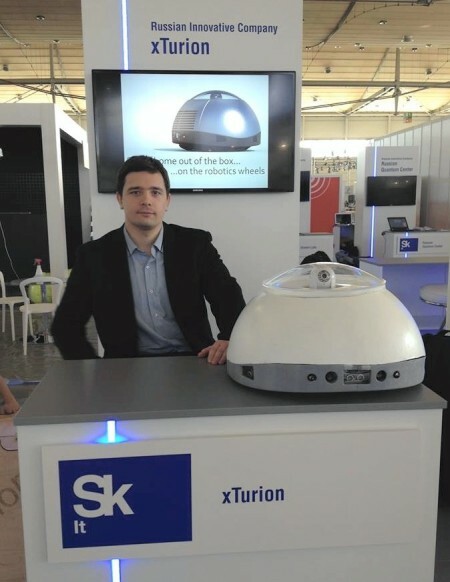 xTurion’s stand have deservedly aroused the great interest among the guests of the exhibition and mass media. The event have allowed to present the product to foreign colleagues in the field of robotics, to discuss variants of possible cooperation, as well as to introduce the product to potential buyers and get feedback. “The robot has been broken during the transportation, but we were able “to bring him to his senses” rather quickly. Except of cosmetic defects the exhibit is fully operational.